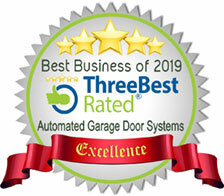 Automated Garage Door Systems has been providing the Inland Empire with quality garage doors and garage door opener services since 1989, but our service to Southern California goes much deeper. David Pickard, the owner and operator, has been a carpenter in the construction and garage door business since 1967. David worked side by side his father building garage doors and installing openers until his father retired. Since the 1960's, David has worked as a carpenter building houses and began his lifelong specialization in custom building and installing cabinets in the kitchens of million dollar homes. Call us today at (951) 276-0444 to schedule an appointment. In 1989, David continued in the family tradition and decided to open up our company, Automated Garage Door Systems in Riverside, CA. Our company has been serving the Inland Empire ever since. David specializes in repairing and installing all types and models of garage doors and openers with the expertise necessary to get the job done right, the first time. If you need to replace wood door jambs that are dry rotted or termite infested, lower headers, or require custom woodwork needed on the house to accommodate a new garage door, we have what it takes. 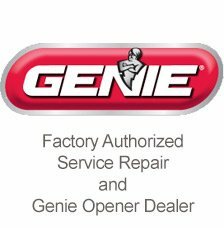 A state licensed contractor and a member of the Better Business Bureau since 1993, Automated Garage Door Systems is a factory authorized service repair location for Genie Garage Door Openers. We have many options of garage doors to choose from, and will custom build from scratch wooden garage doors to meet your needs and style. We Provide Installations, Service & Repairs. We service Riverside, Corona, Ontario, Fontana, Rancho Cucamonga, Colton, San Bernardino, Loma Linda, Redlands, Rialto, Norco, Grand Terrace, and more. 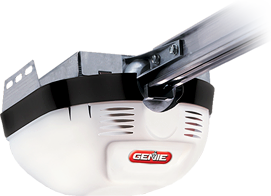 We specialize in the repair, service, and yearly maintenance of all Garage Doors and Garage Door Openers.